How old must a person be to serve alcoholic beverages as a bartender or a waitress/waiter, etc.? Employees such as Busboys and dishwashers who handle containers that had alcoholic beverages can be under 18 but must be supervised by someone 21 or over. How old must a person be to work as a cashier in a grocery store? What must I do to conduct a teen night in my premises? At least 10 days prior to the event, you must notify the State Liquor Authority, in writing, advising us of the exact dates. No alcohol can be served that day. 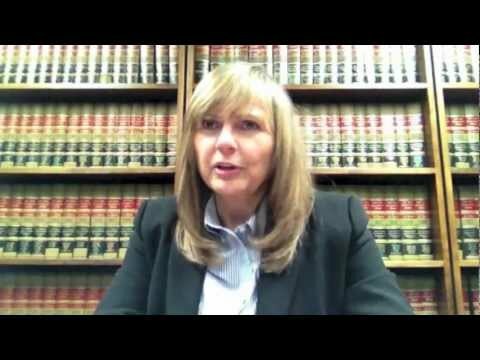 What is acceptable proof of age to purchase alcohol in New York State? A valid military ID from the U.S.
Not acceptable as a primary proof of ID: College identifications, employee identification cards or any other form of identification not listed above cannot be accepted as the primary proof of age, but can be used as a secondary means to verify the identity of the person. Can a restaurant deliver beer with a food order? Yes. The Authority has ruled that on-premises licensees may deliver beer in containers along with a food order provided that order is received in the licensed premises. An order received by the licensee in the licensed premises over the telephone (or by fax) complies with this ruling. The Authority’s ruling applies to beer only. If I have a felony conviction, can I work in a licensed premises? A convicted felon cannot be employed by a licensed manufacturer or wholesaler. A convicted felon can work for a business with a retail off-premises license (such as a grocery store or package store), or at a hotel, restaurant, club or recreational facility with an on-premises license. A convicted felon cannot work at other establishments with an on-premises license. There are two exceptions to this restriction. If the convicted felon has received an executive pardon, a certificate of good conduct or other relief from disabilities provided by law, he/she may work for any licensee. A licensee may also apply for the written approval of the State Liquor Authority to permit the employment of a particular person with a felony conviction. Can a liquor store or grocery store take returns of unwanted purchases? Liquor stores, grocery stores and other retailers licensed to sell liquor, wine, beer and wine products for off premises consumption may, at their discretion, exchange unopened returns from their customers. Does a licensed premises have to take back empty bottle returns if they were not purchased from that premises? Yes, state law requires the licensee to accept for redemption any empty beverage container of a product sold by the licensee, regardless of whether or not the specific container was originally sold by the licensee. What can I do about a noisy or rowdy bar? Contact your local police department having jurisdiction at the time the disturbance is occurring. You can also file a complaint with the New York State Liquor Authority by way of telephone, written complaint, e-mail, or personal visit to Zone Office (Albany, Buffalo, New York). You should make a written record of date, time and nature of disorder documenting specific problems with the licensed premises. Can a customer bring in his or her own liquor/wine/beer into a licensed restaurant or bar? Yes, with the approval of the licensee and as long as the alcohol product is covered under the license in effect and the patron removes the unconsumed alcoholic beverage upon departing the licensed premises. The licensee can charge a “corkage”or other fee to a customer bringing his or her own alcoholic beverage to the licensed premises. How old do you have to be to purchase non-alcoholic beverages? There is no minimum age requirement for the purchase or consumption of a nonalcoholic beer or other products identified as “non-alcoholic.” These items contain less than one-half of one percent of alcohol and are not considered to be alcoholic beverages. What is the “unlimited drink offering” law? On-premises licensees are prohibited from offering, selling, serving or delivering an unlimited number of drinks to a patron or patrons during a set period of time for a fixed price. For example, a “$20- all you can drink” special would be a violation of this law. These licensees are also prohibited from advertising, promoting or charging a price for drinks that, in the judgment of the SLA, is an attempt to circumvent the law. The law does not apply to: private functions not opened to the public, such as weddings, banquets, or receptions, or other similar functions,; or to a package of food and beverages where the service of alcoholic beverages is incidental to the event or function. In addition, the SLA has determined that 2 for 1, half price and Happy Hour specials whereby the price of a drink is not lower than one-half of the premise’s normal or regular price for the same drink does not constitute an attempt to circumvent, the intent and purpose of this statute. Are football pools, dice games, sign up sheets illegal? Yes, gambling is prohibited in businesses licensed for consumption on and off the premises. This includes social, casual and professional gambling. Exceptions are the sale of lottery tickets when licensed by the Division of the Lottery and bingo or games of chance when authorized by the State Racing and Wagering Board. Does the authority have tips or training for bartenders? The SLA does not provide training to servers but does certify trainers to offer the Alcohol Awareness Training Program for those licensed to sell alcoholic beverages and their employees. The Authority has established requirements for the curriculum of the program and approves schools and other entities to teach the program. A list of certified trainers is available on this web site ( Alcohol Training Awareness Program). Can a liquor or wine store licensee sell wine: (a) out of state or (b) over the internet? A liquor or wine store may sell and ship alcoholic beverages to a customer in another state as long as that state allows the licensee to make such sales and the licensee complies with the laws of that state. The alcoholic beverages must be shipped using a business that holds a trucking permit. A liquor or wine store can accept orders placed via the internet. For customers in this state, the alcoholic beverages can be picked up by the customer at the licensed premises or the licensee may ship the alcoholic beverage to the customer’s home or office. Deliveries can be made: by a messenger on foot; using a vehicle owned/hired and operated by the licensee; or by a business that holds a trucking permit. Orders made via internet by out-of-state customers are governed by the instructions set forth above regarding sales to out-of-state customers.